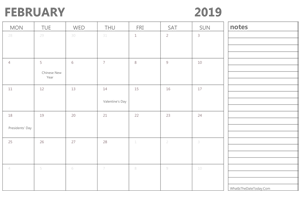 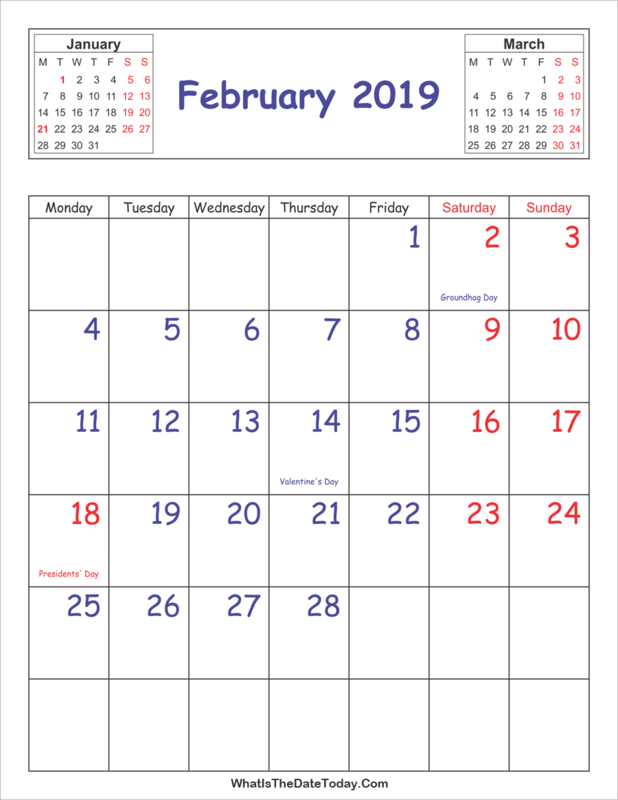 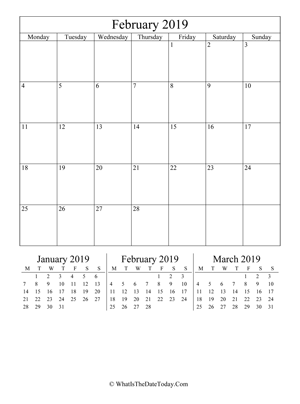 This Printable 2019 Calendar February (Vertical Layout) is a available for download in PNG format. 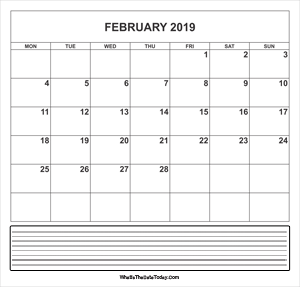 The calendar come with colorful font in black, blue and red. february 2019 editable calendar (vertical layout).